Here, are two Voïvod discs I wasn’t aware of, that I just recently ordered from the http://www.irongang.com site with a great book on Away’s artwork, which I assume is on the way soon as well, to my mailbox. This is a band that paved way, along with conceptualists Celtic Frost, for progressive influenced music that existed in its early form in a realm blurring the boundaries between blackmetal and thrashmetal, progressive rock, punk, and even spacerock. 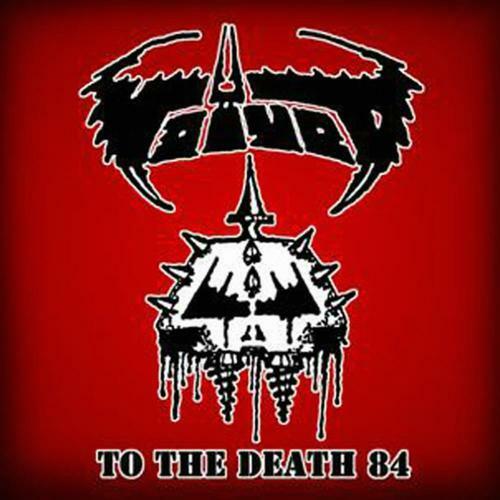 To The Death 84 has been released on Jello Biafra’s “Alternative Tentacles” label, and it goes to show how immensely influental early Voïvod was to bridge punk, progressive and metal genres. Recorded in January 1984 just prior to the release of the War And Pain debut, it sounds tremendeous to be recorded audience style with two mics – it has been re-mastered to CD/digital very well. It sounds like a soundboard recording. Most of the material is from the first album and second album, as well, plus some covers of Mercyful Fate and a couple of Venom tracks. 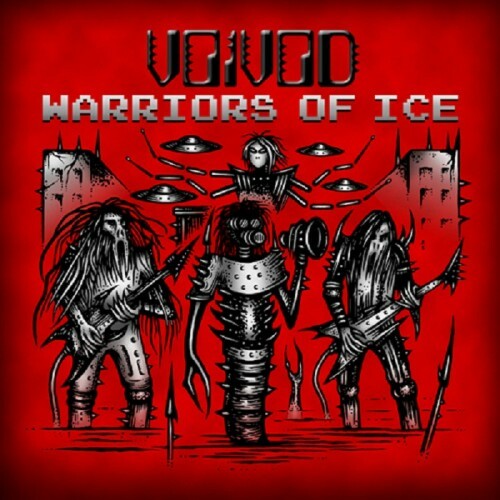 This recording is a treasure for fans of old Voïvod, with classics like Live For Violence, Nuclear War, Black City, etc. etc. An essential effort for anyone who wants to hear historical True Metal. Fantastic purchase with lots of great early photos, and old Away art inside.